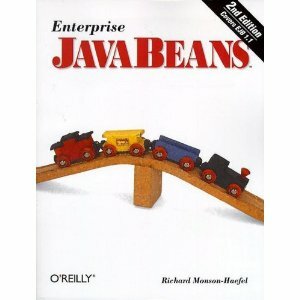 Enterprise JavaBeans is a course that teaches you the fundamentals of Enterprise JavaBeans. In this course, you will learn about the Java 2 Platform, Enterprise Edition (2JEE), as well as EJB concepts, methodology and development. You will also learn about EJB-compliant servers, and how Enterprise JavaBeans are used by remote client applications. Topics include developing session beans and entity beans, database connectivity, transactions and security. Through hands-on labs, student will gain experience working with Enterprise JavaBeans. Explain distributed architectures, software components and server-side component architecture. Define the technologies associated with the Java 2 Platform, Enterprise Edition (J2EE). Identify transaction and security issues associated with enterprise beans. Trainees must have CIW Foundations certification or equivalent experience, and must have completed the CIW Java Programming Fundamentals (5JPF) course or have a working knowledge of Java.